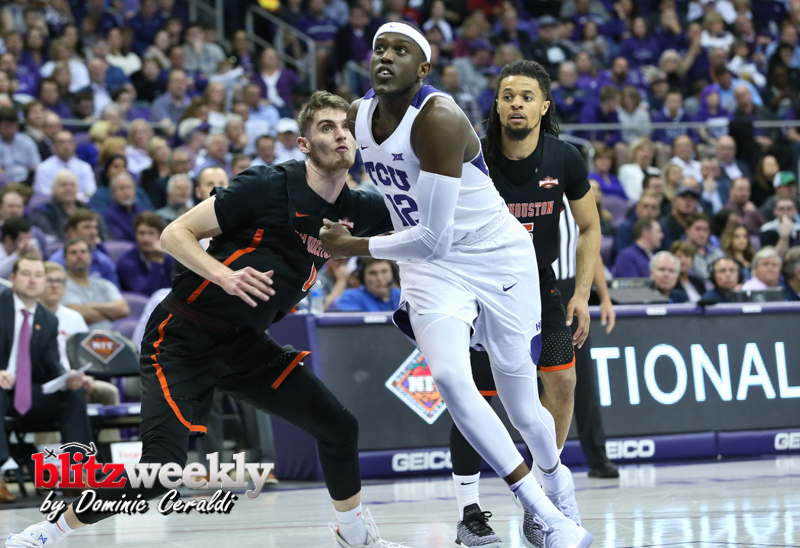 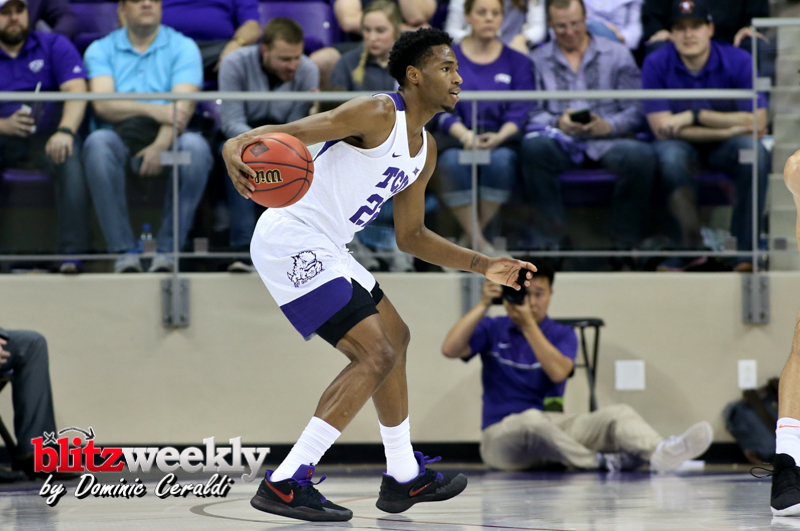 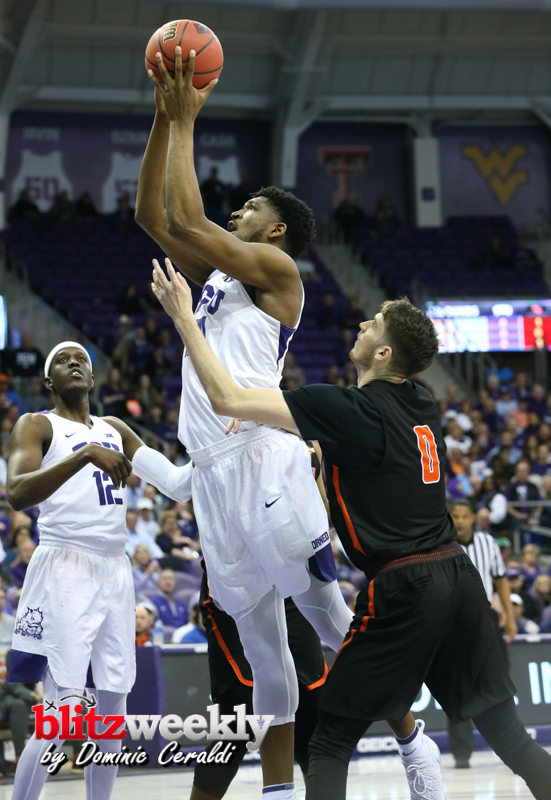 Alex Robinson recorded his ninth double-double of the season and was one of six Horned Frogs in double figures as TCU beat Sam Houston State in the first round of the NIT, 82-69, Wednesday at Schollmaier Arena. 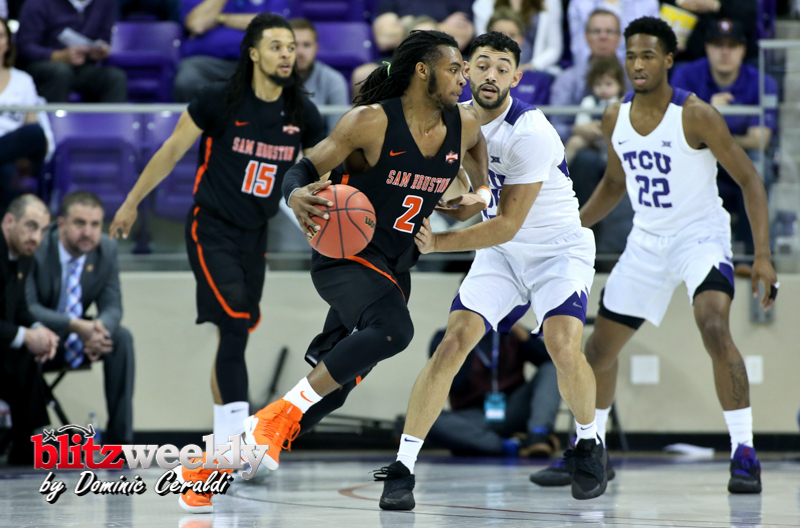 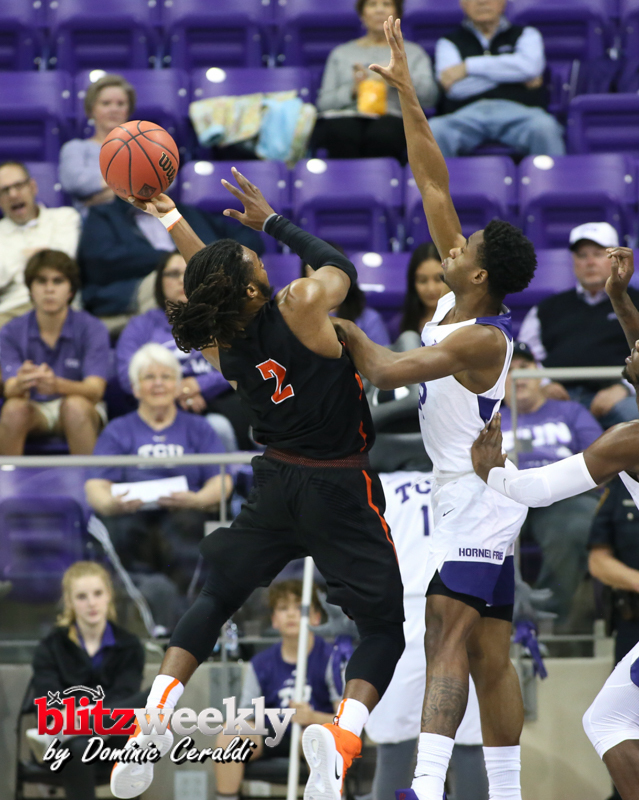 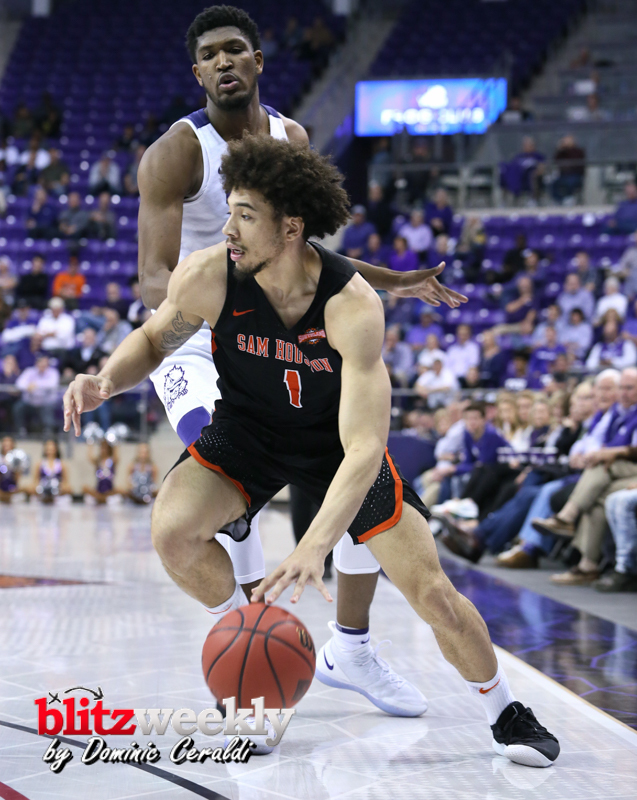 Sam Houston State (21-12) jumped out to an 11-5 lead over the first four and a half minutes, as TCU (21-13) turned the ball over three times during that stretch. 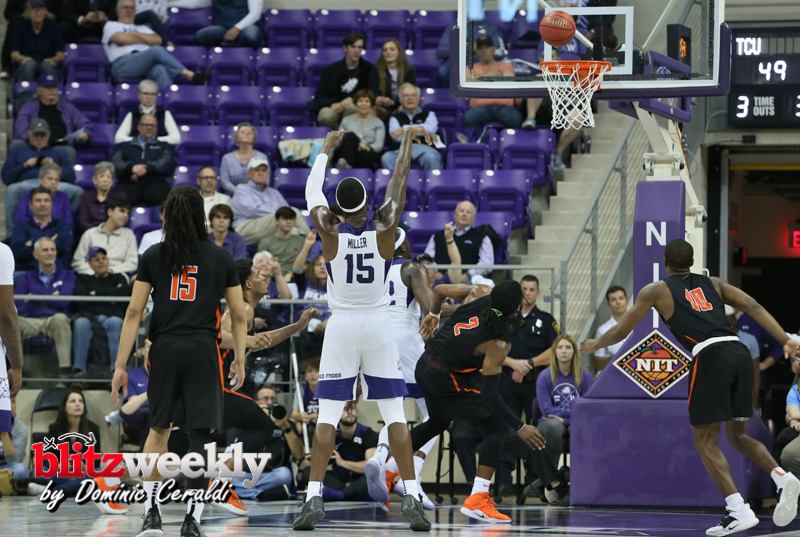 Down by as much as eight, the Horned Frogs went on a 15-3 run to end the first half, capped by a three-pointer from Desmond Bane at the horn. 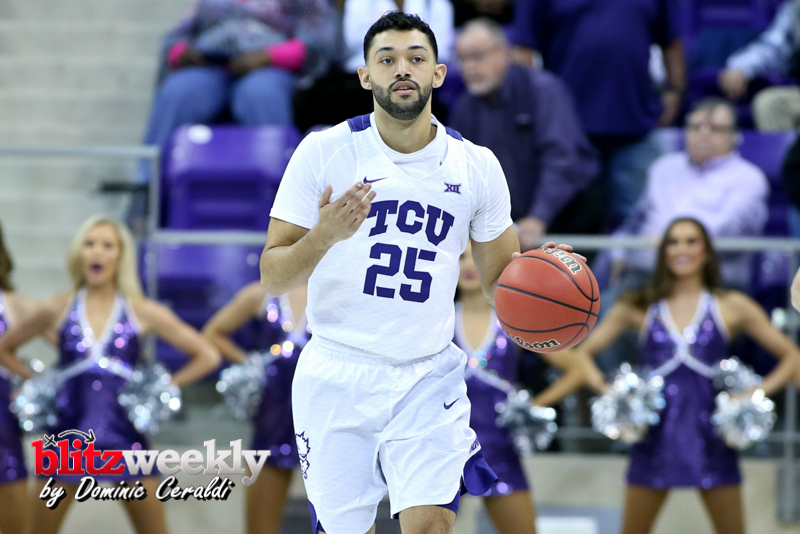 TCU led 34-30 at halftime. 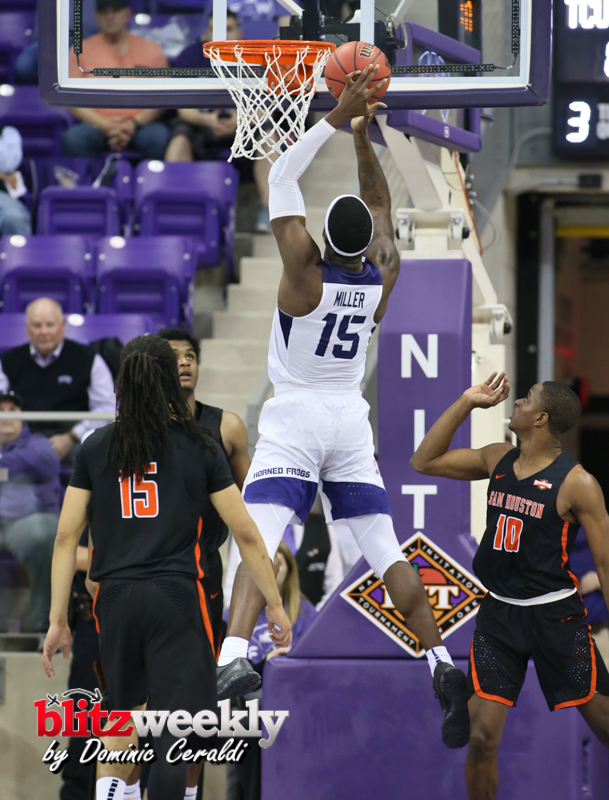 The Horned Frogs were dialed in on offense throughout the second half, beginning the half on a 10-3 run and making 11 of their first 14 shots from the floor to start the half, including seven straight makes at one point. 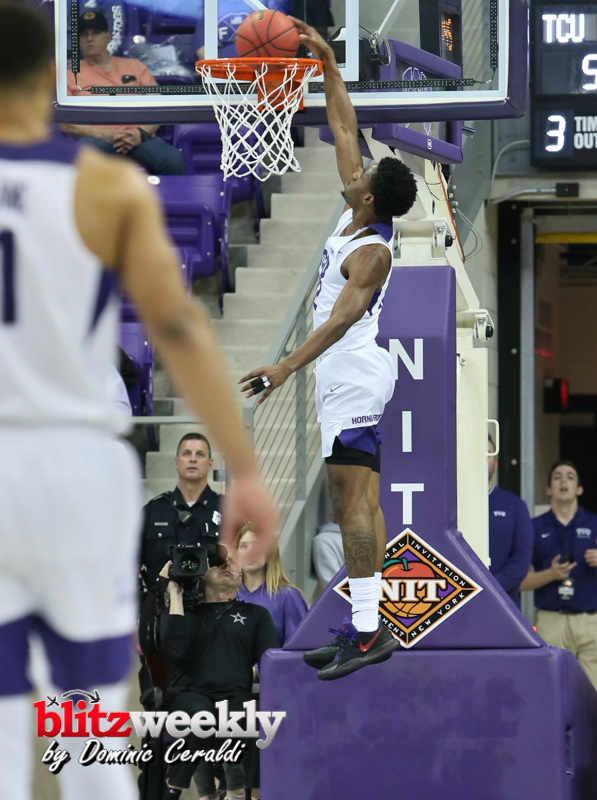 The Horned Frogs stretched their lead to 61-44 with 9:47 to play on a steal and breakaway dunk from RJ Nembhard. 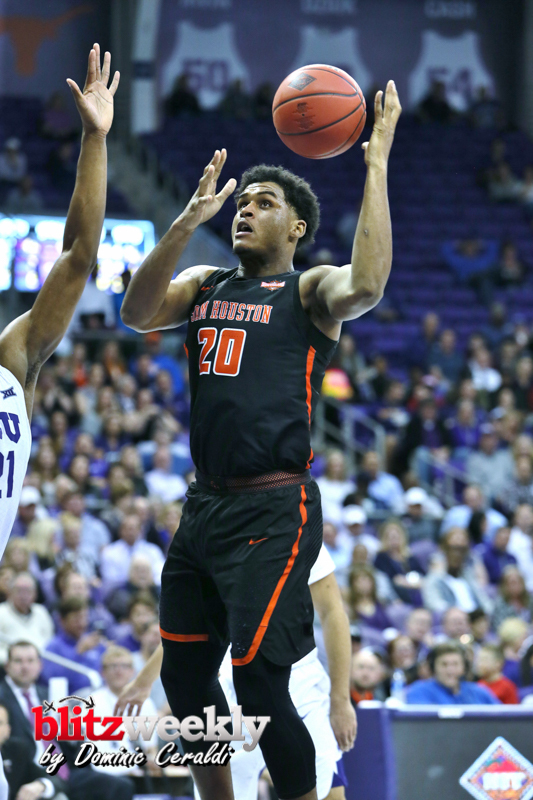 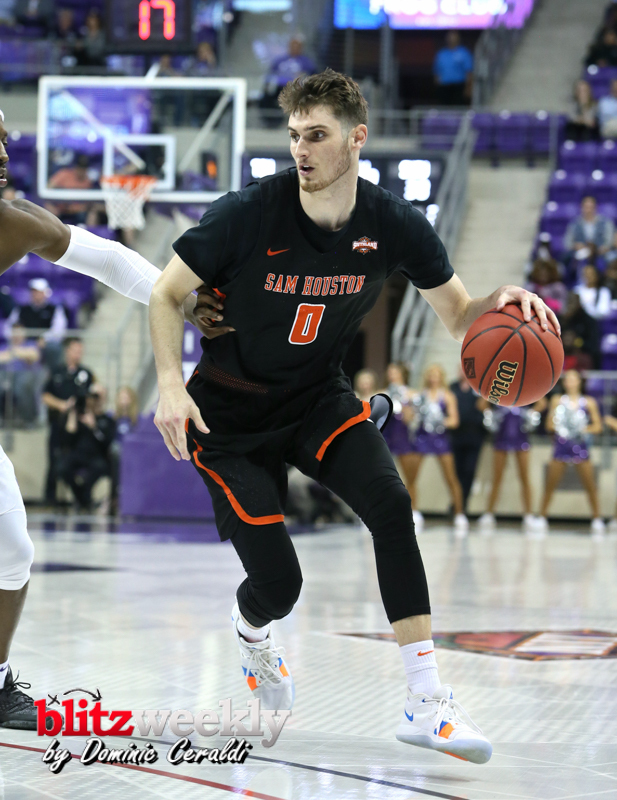 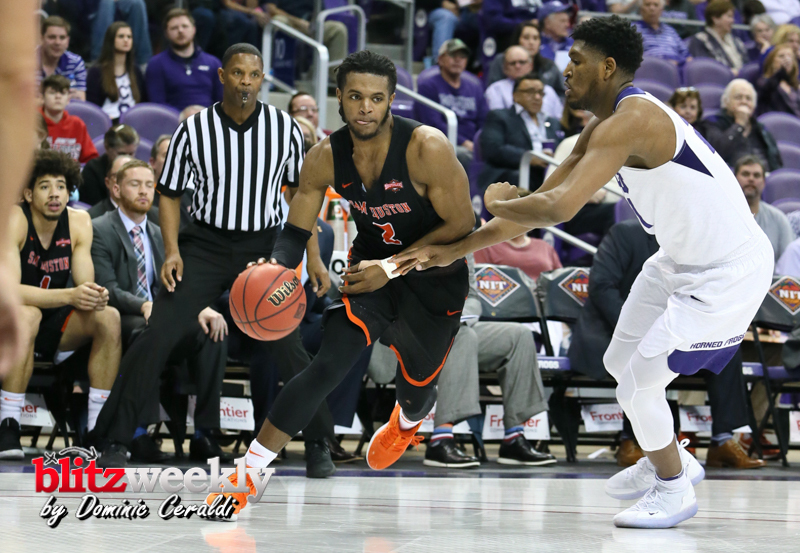 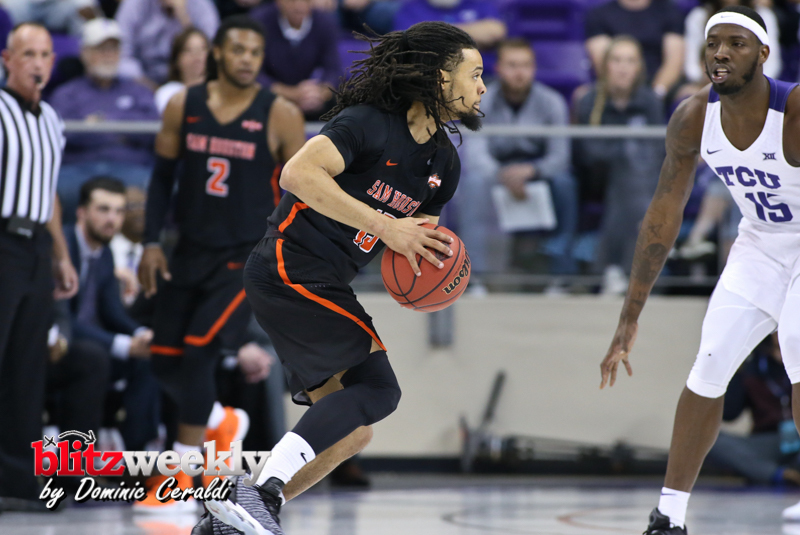 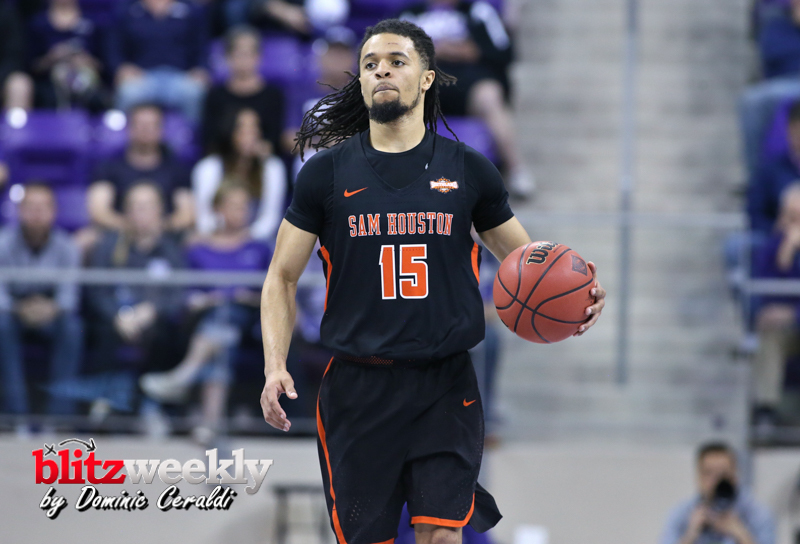 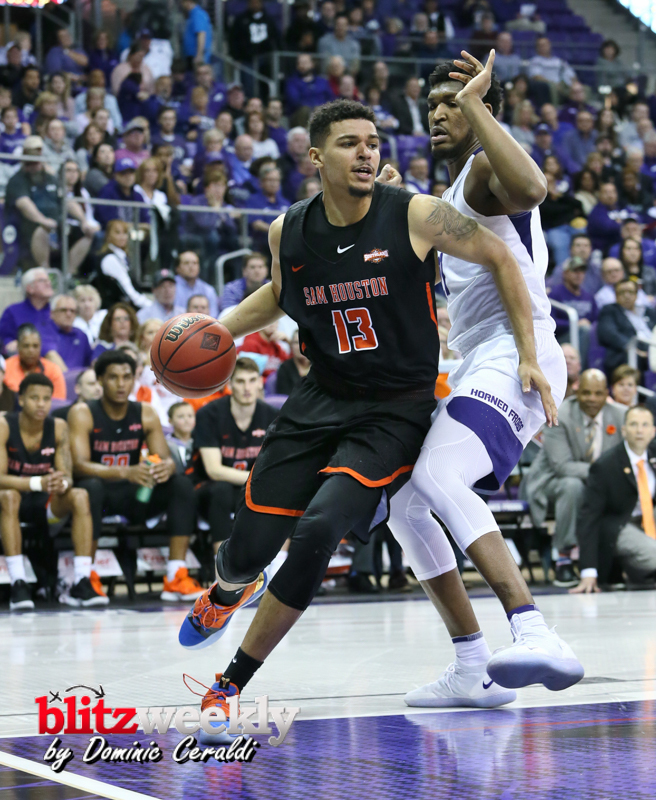 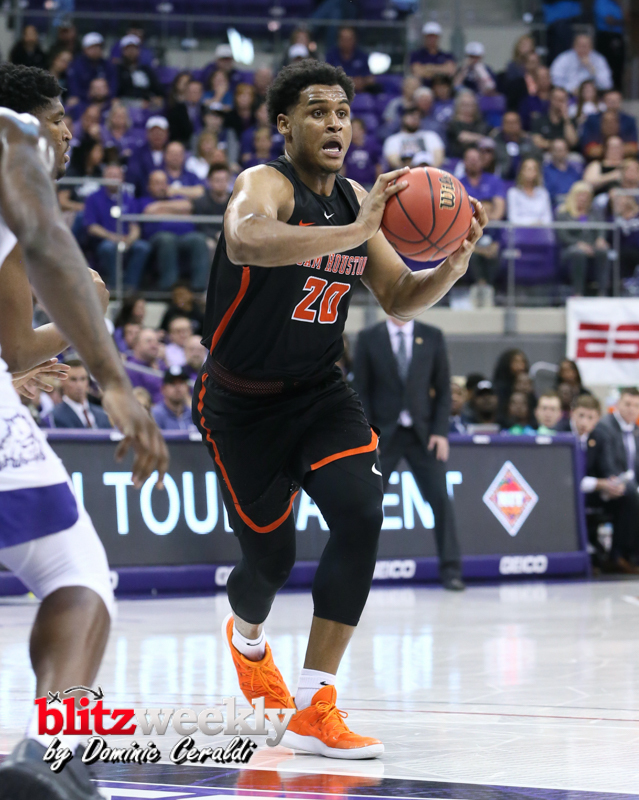 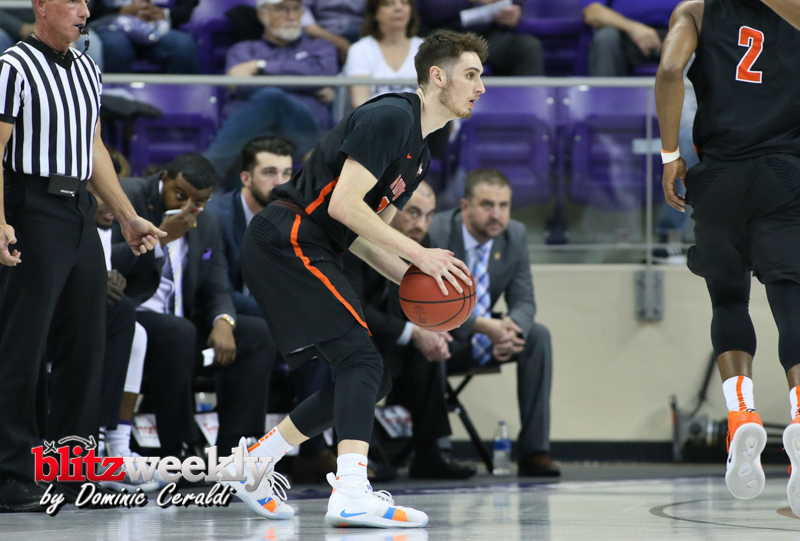 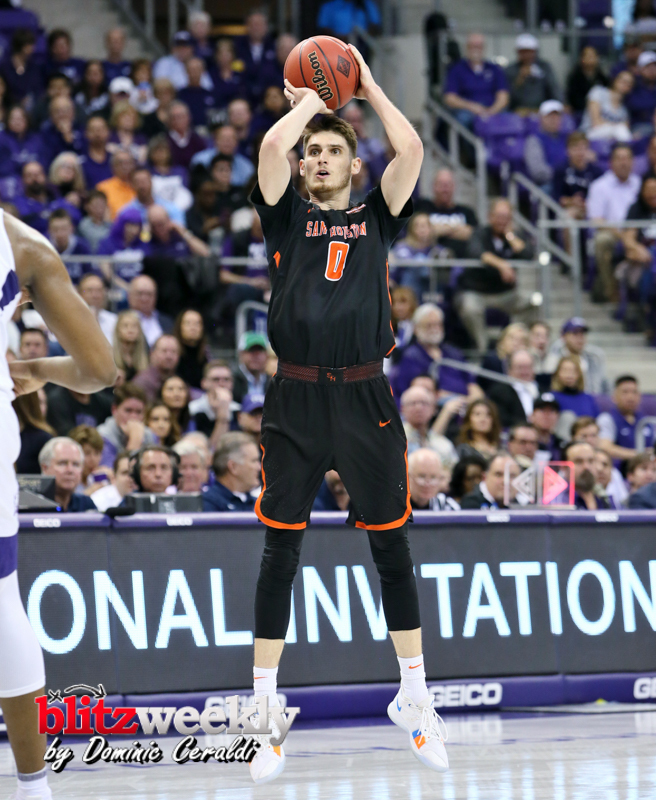 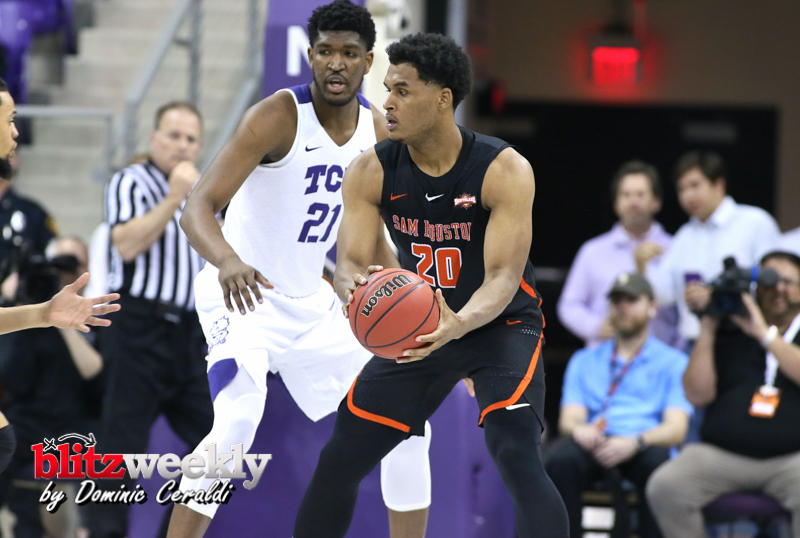 The Bearkats attempted to rally late, cutting TCU’s lead to 73-65 with 3:28 remaining, but the Horned Frogs fended off the attack and made their last five shots from the floor to close out their 82-69 victory. 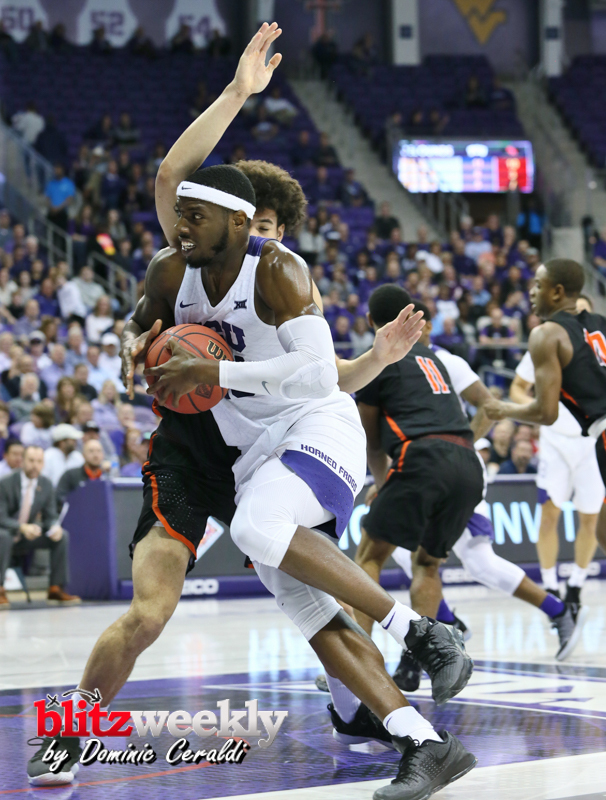 TCU will host Nebraska in the second round of the NIT on Sunday at 8:30 pm on ESPNU. 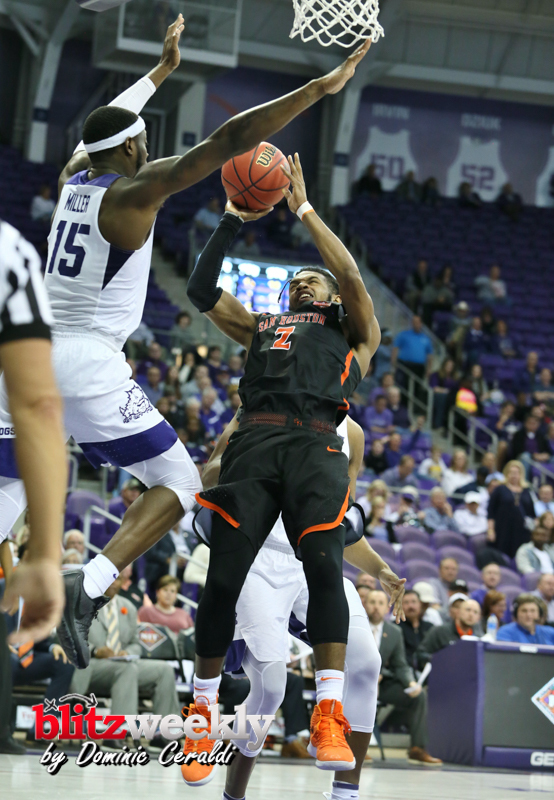 – It was TCU’s first meeting against Sam Houston State since Nov. 22, 2002 when TCU won 91-81 in Fort Worth. 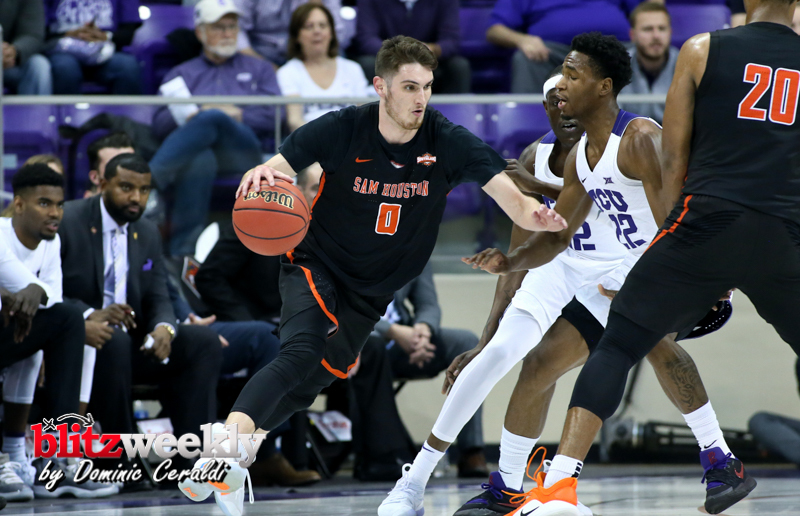 Also, it was Jamie Dixon‘s first-ever meeting with Sam Houston State as a head coach. 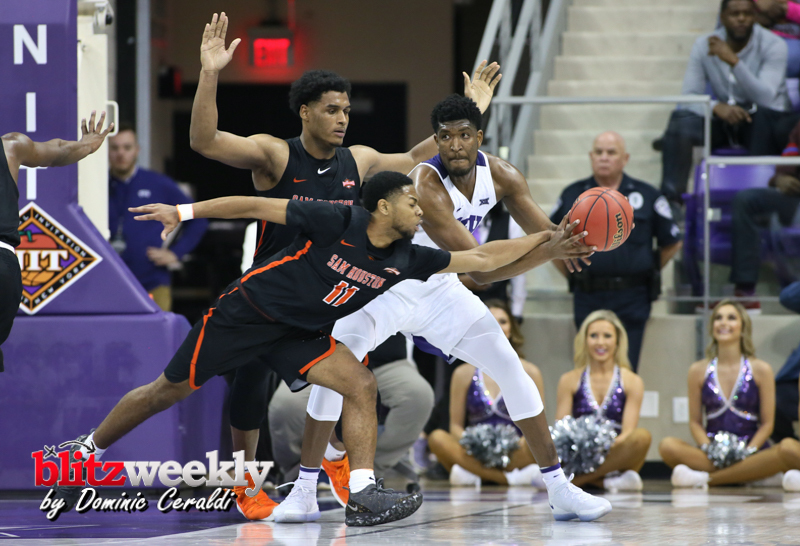 – TCU improved to 9-2 all-time against Sam Houston State and 57-9 all-time against current members of the Southland Conference. 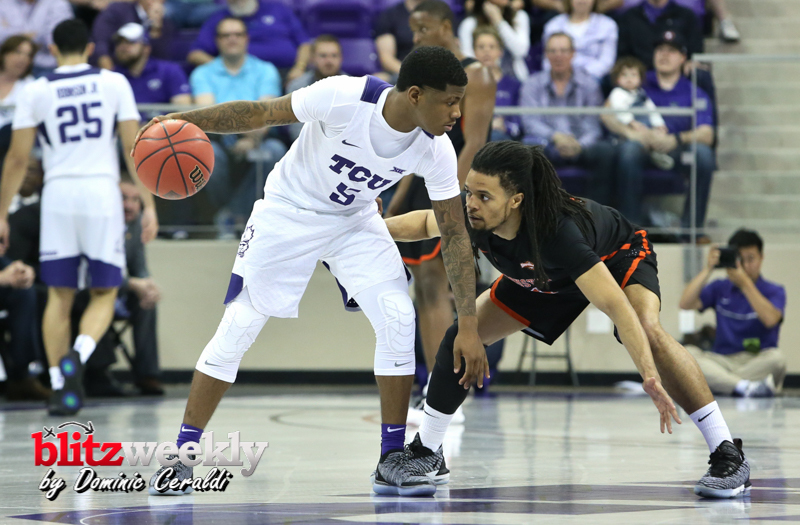 The Frogs are a perfect 7-0 when taking on the Bearkats in Fort Worth. 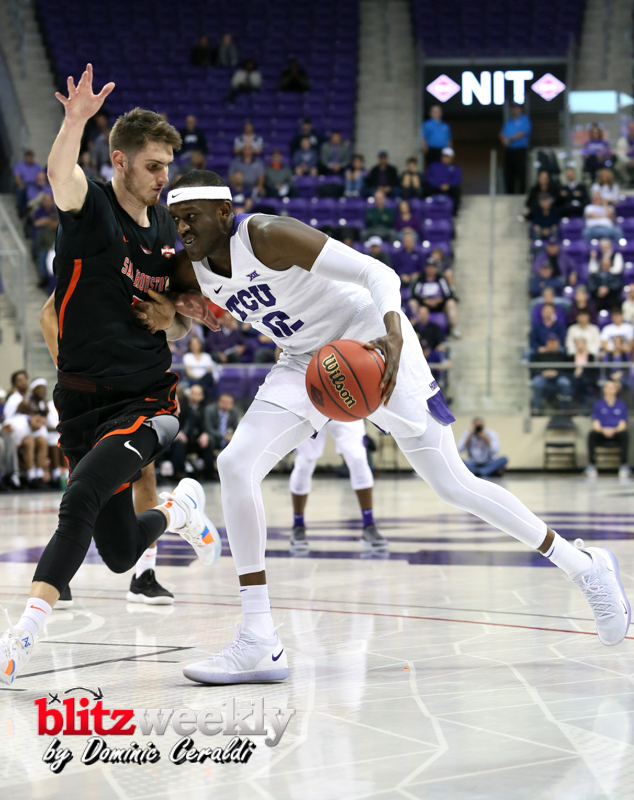 – The Horned Frogs improved to 43-5 against non-conference opponents overall and 28-2 against non-conference opponents at home under Jamie Dixon. 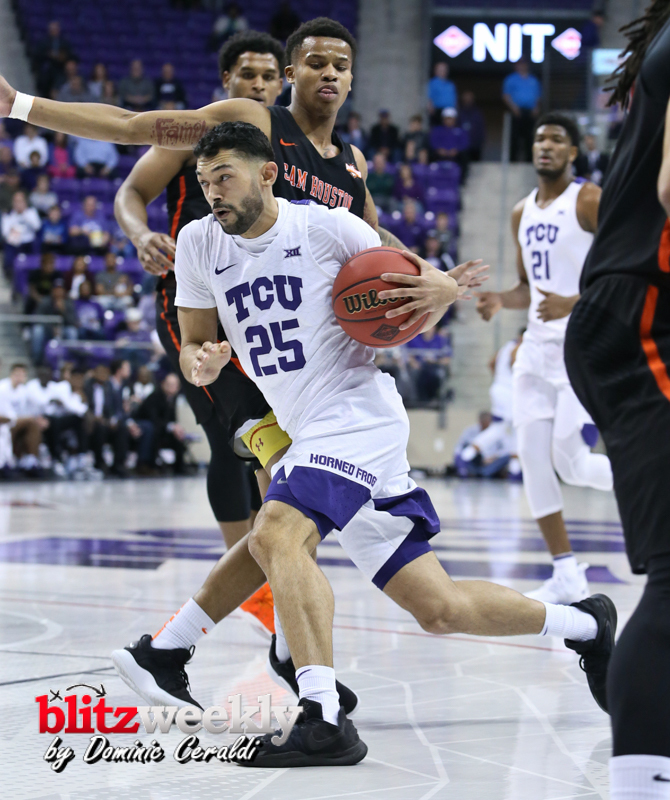 – The Horned Frogs have now played in a postseason tournament in three consecutive seasons for just the second time in school history. 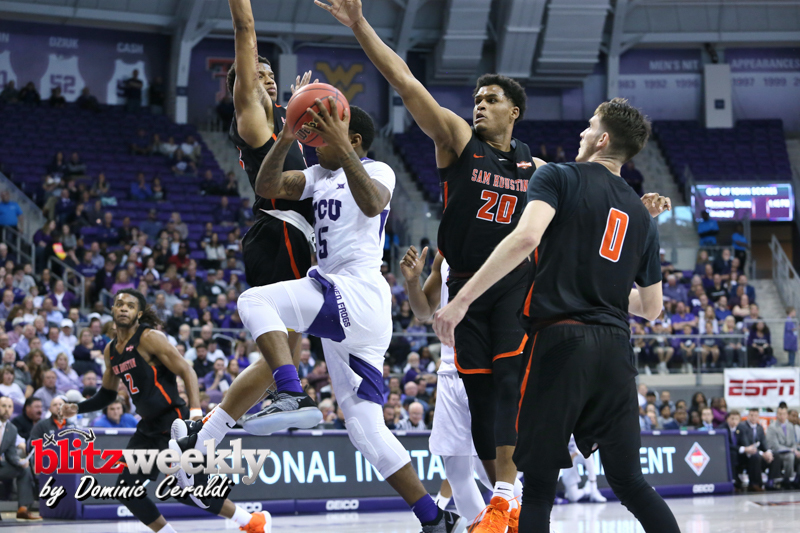 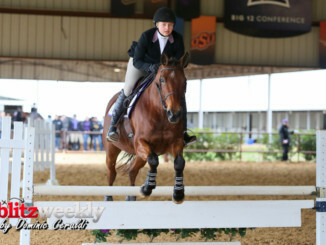 – TCU appeared in the National Invitational Tournament for the eighth time in school history. 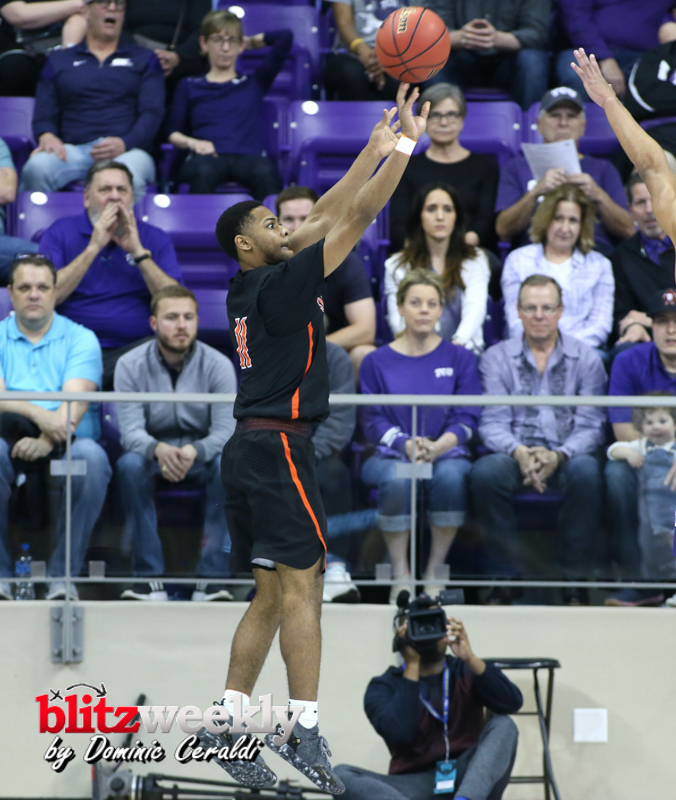 TCU went a perfect 5-0 in the 2017 NIT to claim its first NIT championship and postseason tournament championship in school history. 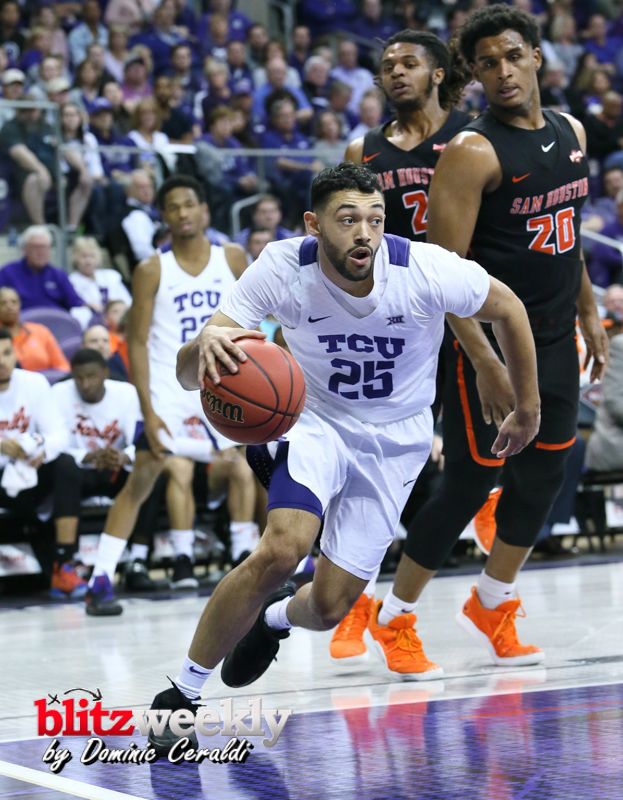 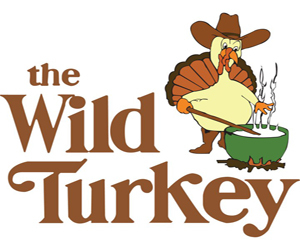 – The Horned Frogs improved to 15-6 all-time in the NIT. 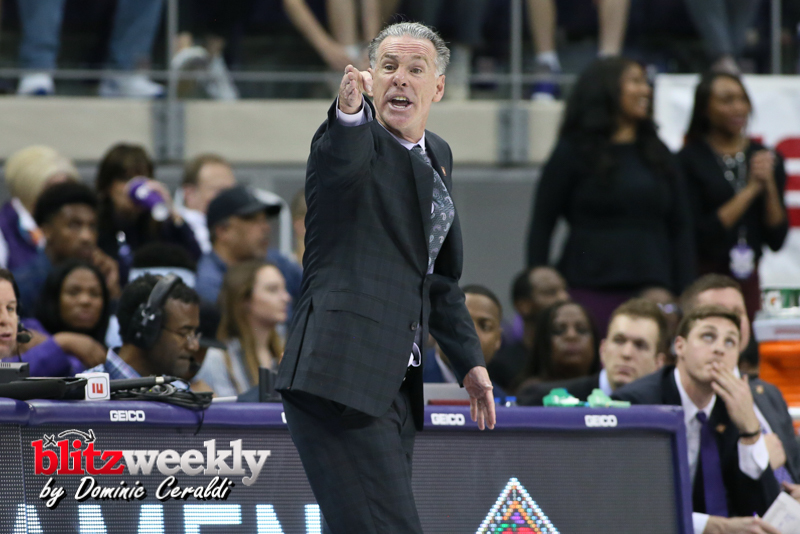 Jamie Dixon improved to 6-1 in the NIT and 23-14 in postseason play overall as a head coach. 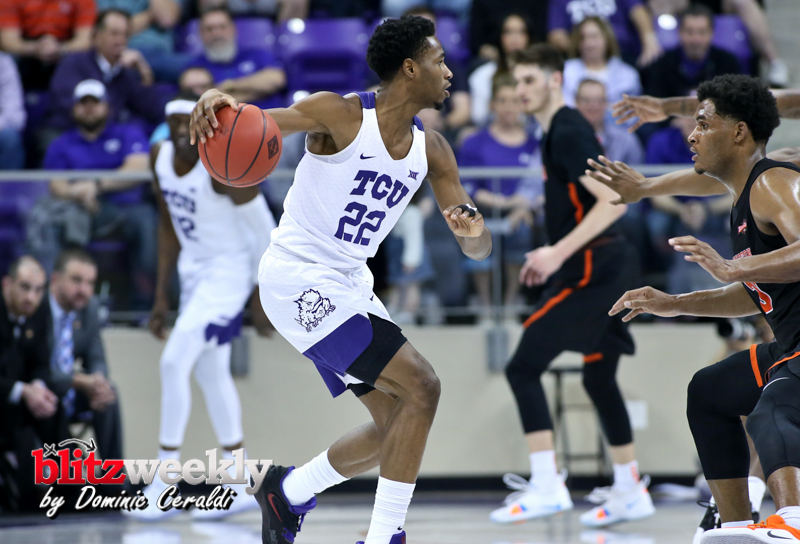 – The Frogs improved to 8-0 all-time in the first round of the NIT. 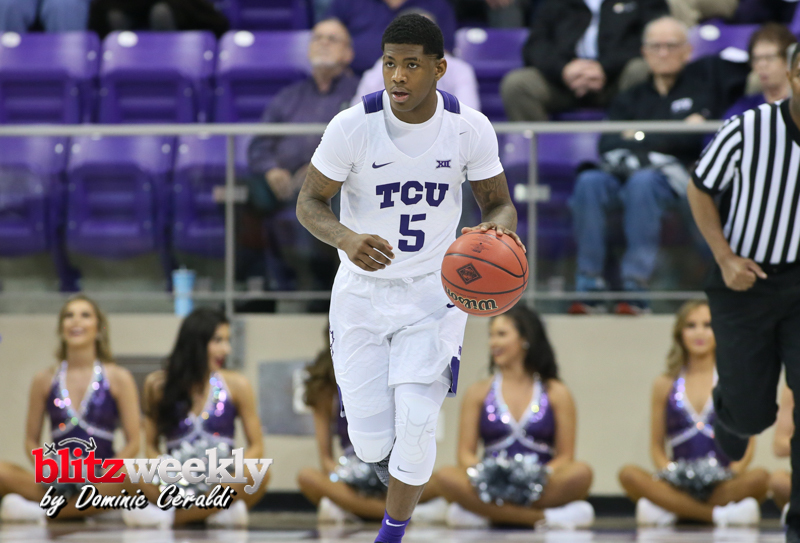 – TCU improved to 18-3 when wearing their traditional white uniforms. 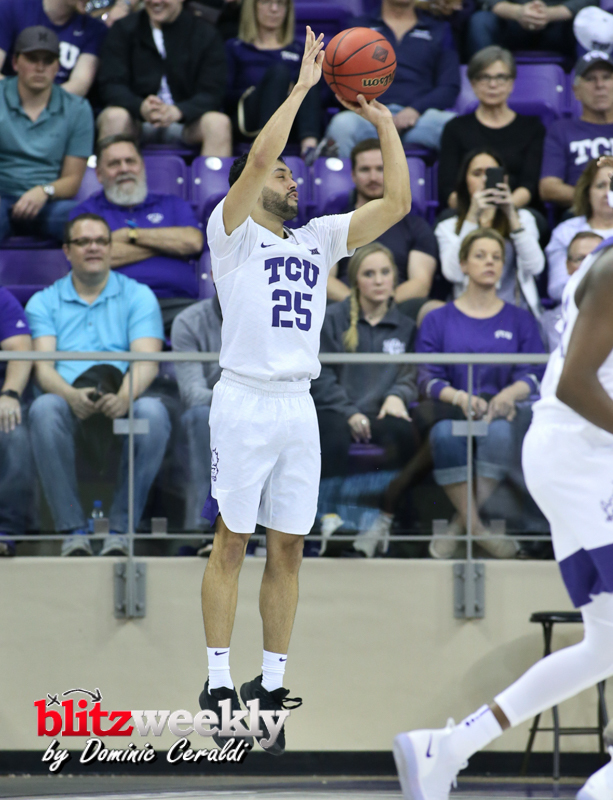 – TCU made six 3-pointers, moving into third place for the most 3-point field goals in a single season by a TCU team with 260. 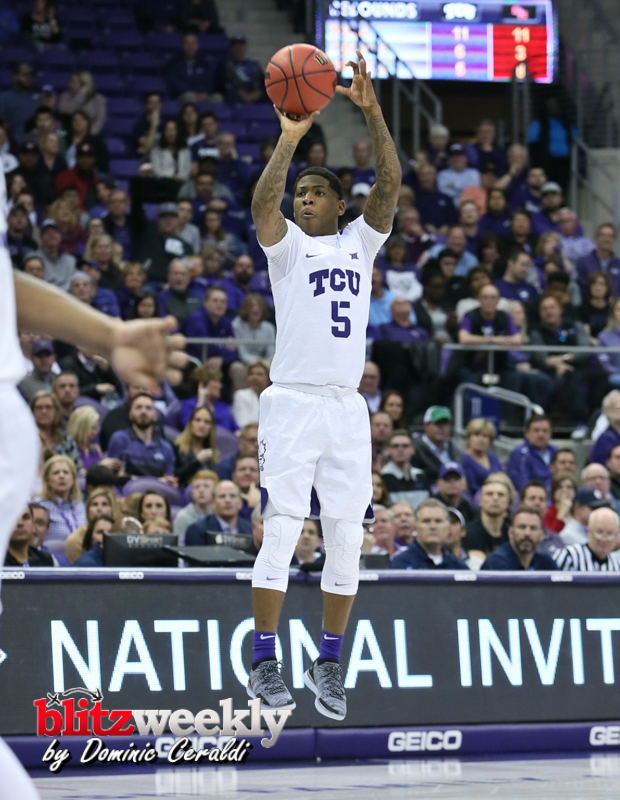 Under Dixon, TCU has totaled the first, second and third most 3-pointers in a single season. 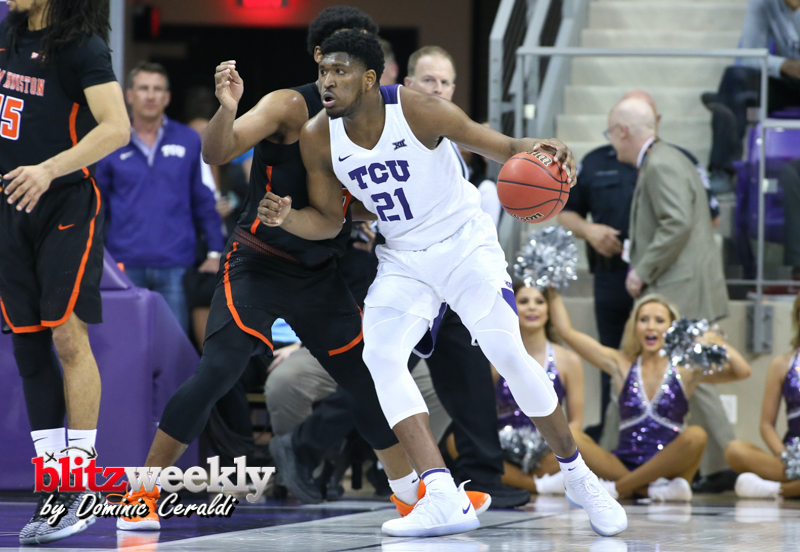 – The Horned Frogs had six players score in double figures for the fourth time this season, last occurring Jan. 15 at home against West Virginia. 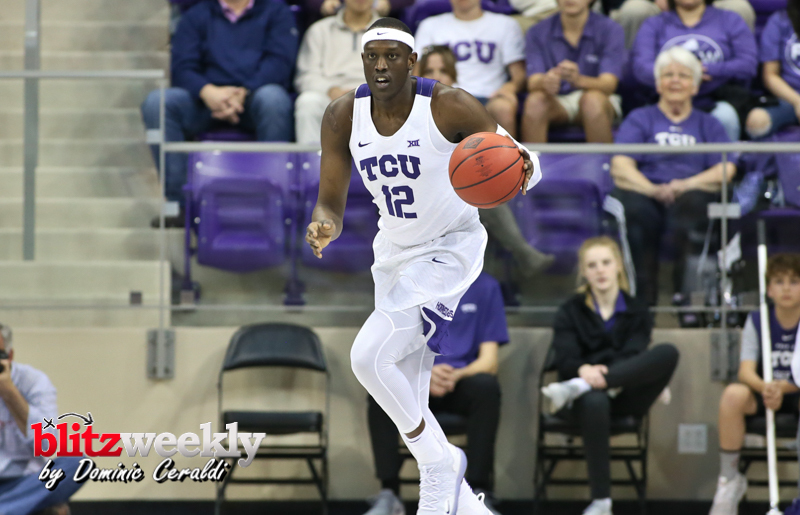 – TCU shot 54.2 percent from the floor, improving to 10-0 this season and 35-4 under Jamie Dixon when shooting 50 percent or better from the field. 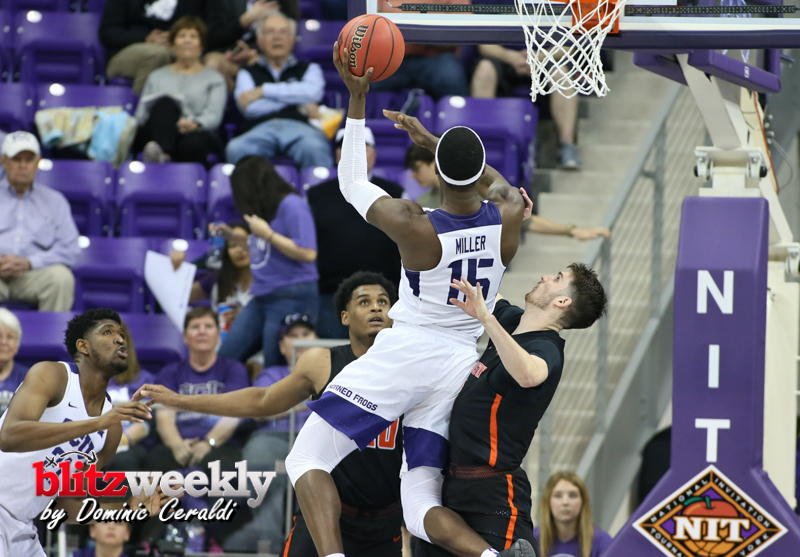 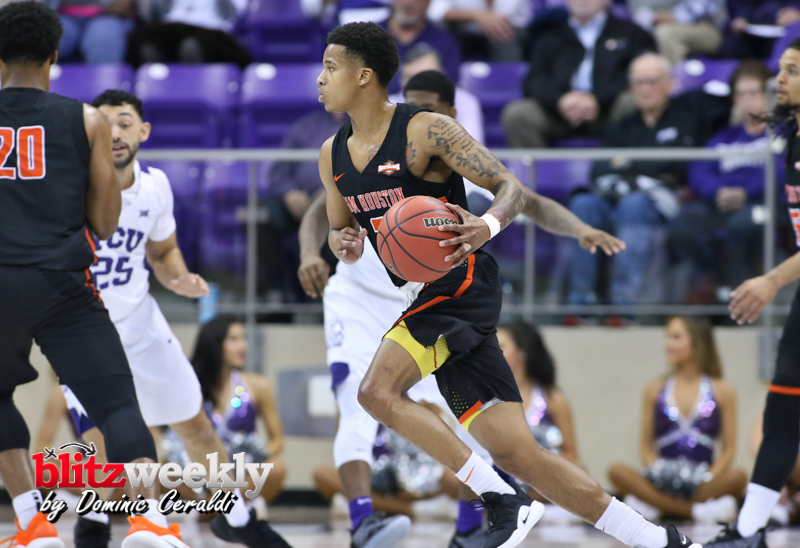 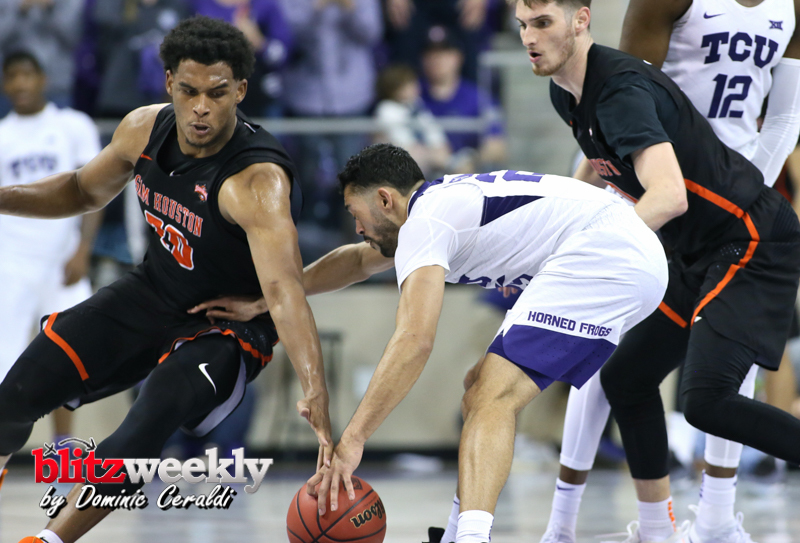 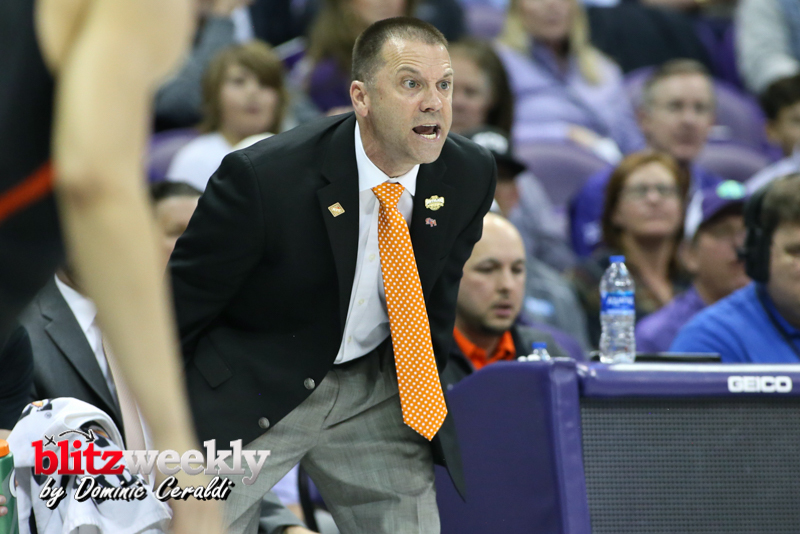 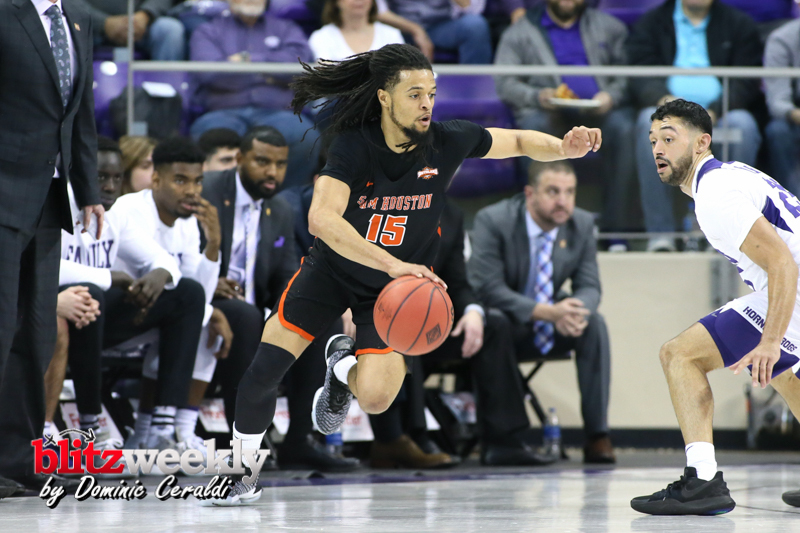 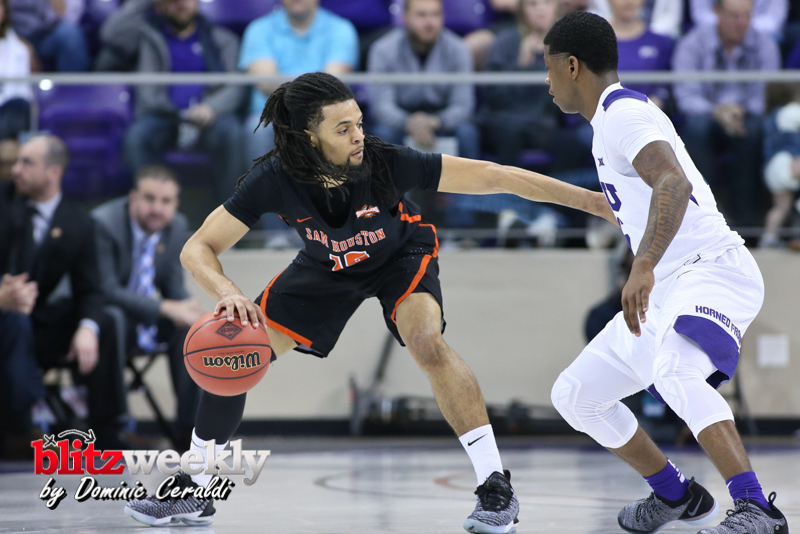 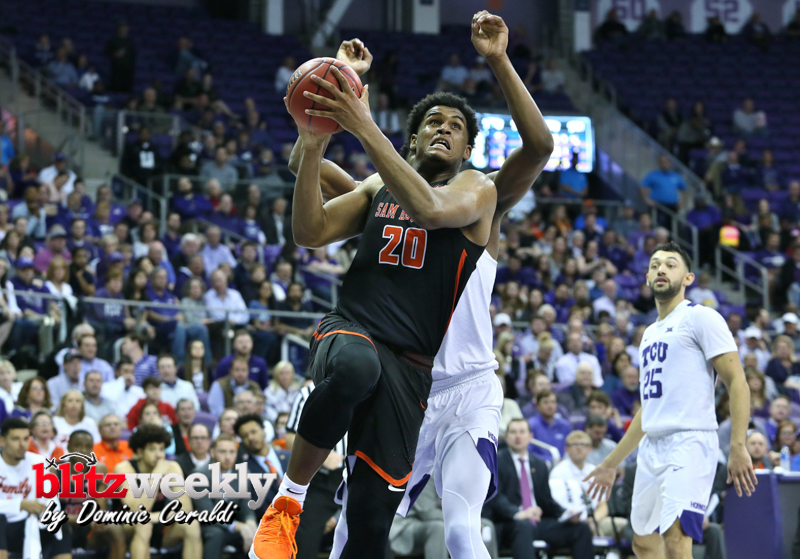 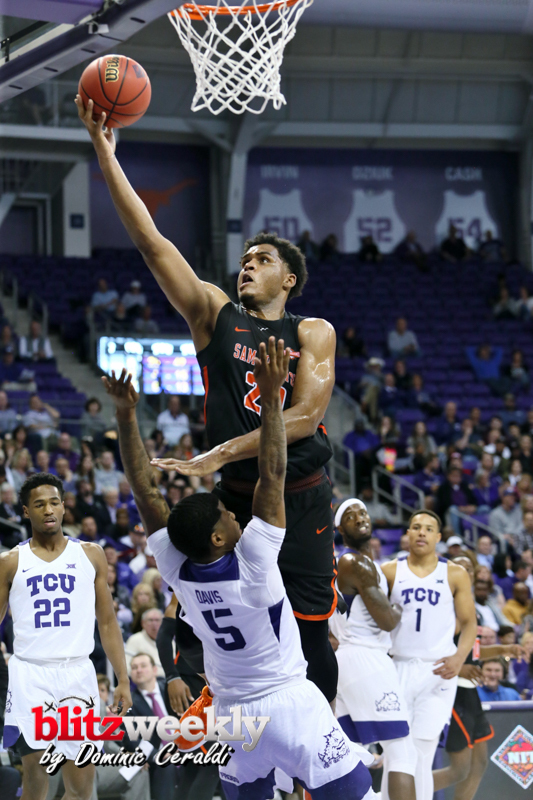 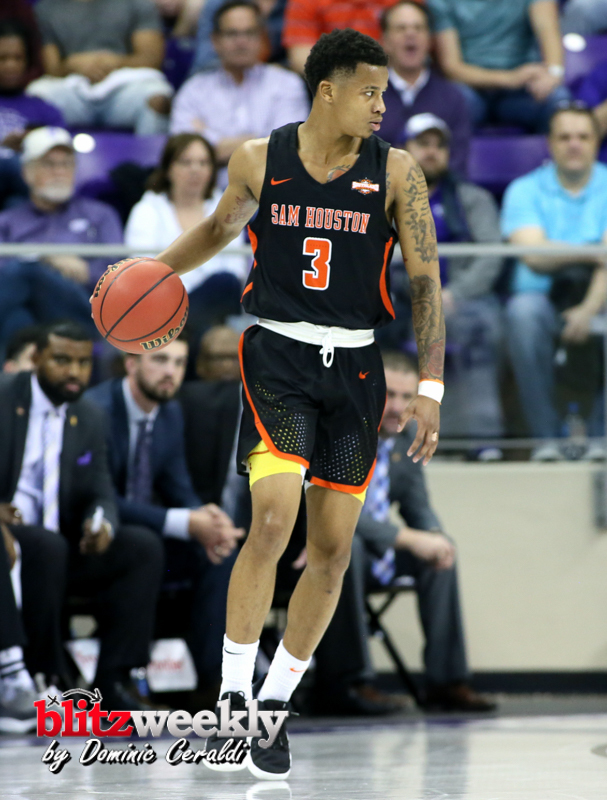 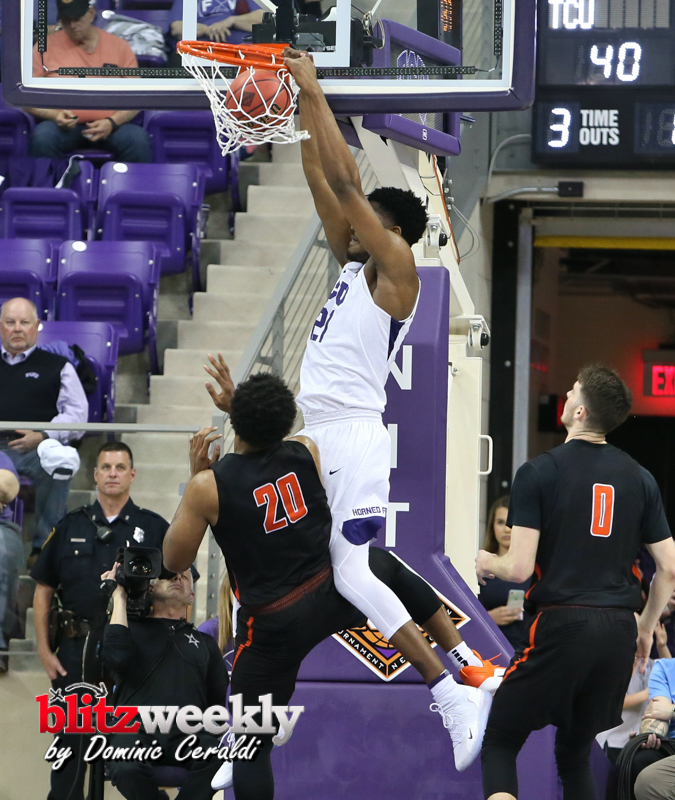 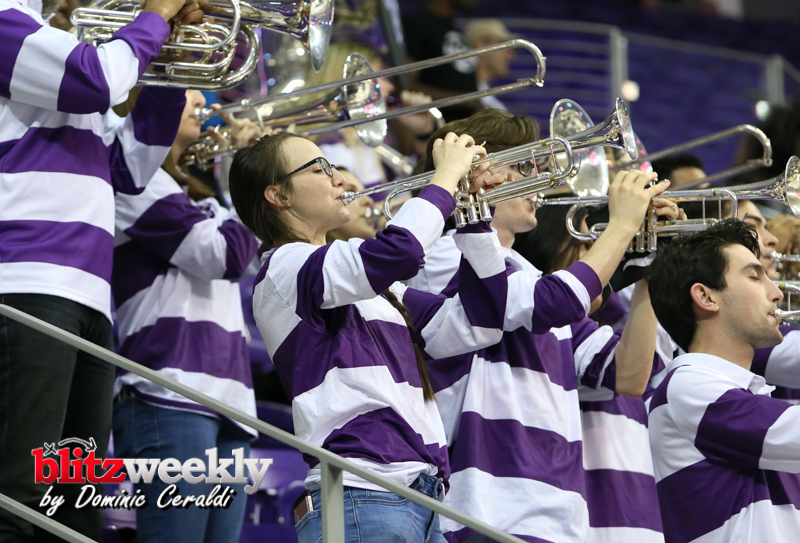 – The Frogs outrebounded the Bearkats 38-33, improving to 17-4 this season, 59-16 under Jamie Dixon, and 67-17 since the 2015-16 season when outrebounding their opponent. 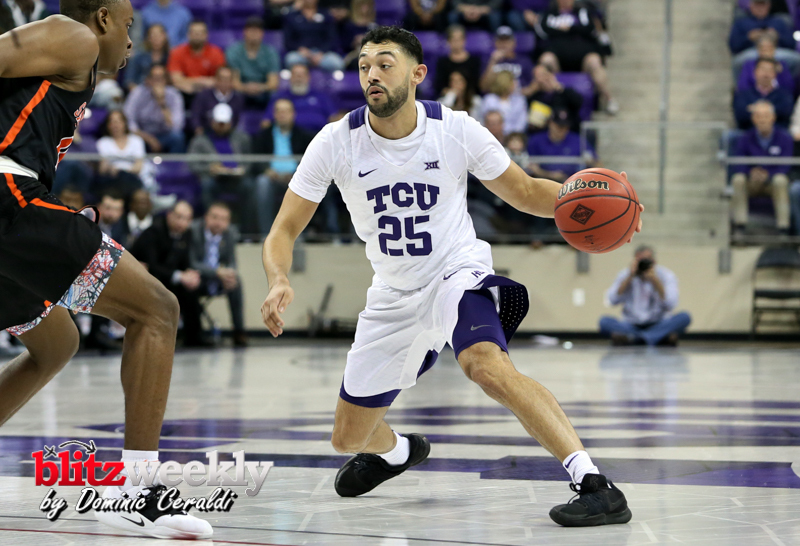 – TCU overcame its worst free throw shooting performance of the season, making only 12 of their 28 attempts (42.9 percent) from the charity stripe.